East St. Louis has the highest homicide rate in the United States. With a decreasing number of officers, the police chief must work to lower the homicide rate amidst political obstacles. Risking alienation from his peers, a 12 year-old enters a training program for youngsters who want to protect and serve when they get older. A young man has been hustling in the streets for years, but needs to find a legitimate career to provide for his girlfriend and unborn child. Coming up in the heyday of OJ and Rodney King, a former LAPD officer needs a change of pace to deal with his aggression and addiction to adrenaline. After almost losing his life after being shot in the head by a rival gang, a high schooler hopes to get a college scholarship and escape East St. Louis. I talked exclusively to directors Jeff Zimbalist and Michael Zimbalist about how and why they decided to focus on East St. Louis. 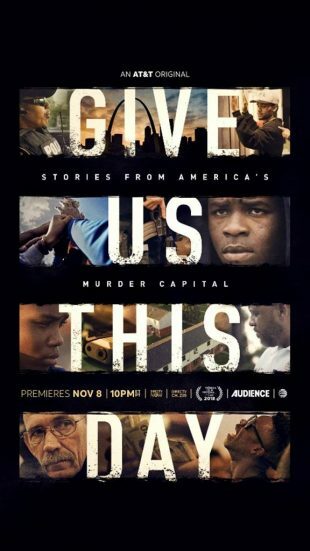 Michael Zimbalist: “Initially, it was about a six month window when we were filming and traveling, looking for stories and working on access in a number of the highest crime, most violent urban areas in the country — Chicago, the North side of Minneapolis, Muskegon Heights. 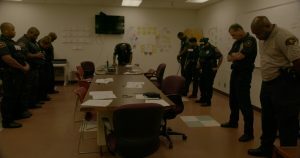 We ultimately chose to make the entire film in East St. Louis, not only because it has the highest per capita homicide rate for the last several years, but also because we felt that the access there was the most genuine. The subjects we found, their stories and their personalities and their lives were the most dimensional and complex and surprising. The three officers and the three residents gave the Zimbalist brothers incredible access into their lives, their homes and in the case of the officers, their precinct. It took a while for the crew to gain their trust, but beyond that is was very important for Jeff and Michael to portray each group fairly, accurately and with as little stereotyping as possible. Jeff Zimbalist: “For the police, in particular, with the reputation of law enforcement nationwide right now, there are a lot of police officers who do feel that they’re being stereotyped based on just a few bad apples. This was an opportunity to tell a more dimensional, more complex, more layered, more human account. This is the narrative that’s not told as much, so it does appeal to police departments and once they saw that we were going to be fair and balanced as journalists, they saw it as an opportunity. On the residents’ side, it’s very similar. 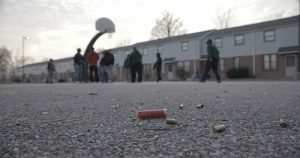 The residents that we spoke with and met don’t feel the stereotypical African-American youth in a high-crime, high violence area is representative of who they are. This was an opportunity to reach a wider audience who doesn’t usually have access to what their lives are like in these areas, in these neighborhoods,. And we had a very diverse team. 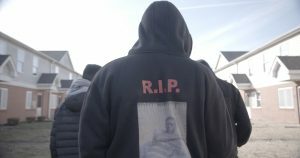 There was a lot of different types of relationships that we were able to make within the city from our cinematographer who’s young and Caucasian and grew up rural, in a rural environment, Adam Boor, to our associate producer Mike Anderson, who is African-American and served 10 years on death row for murder and gang activity before he got out on good behavior. 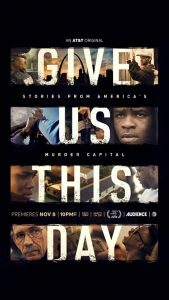 Give Us This Day premieres Thursday, November 8th at 10/9c on AT&T Audience Network.